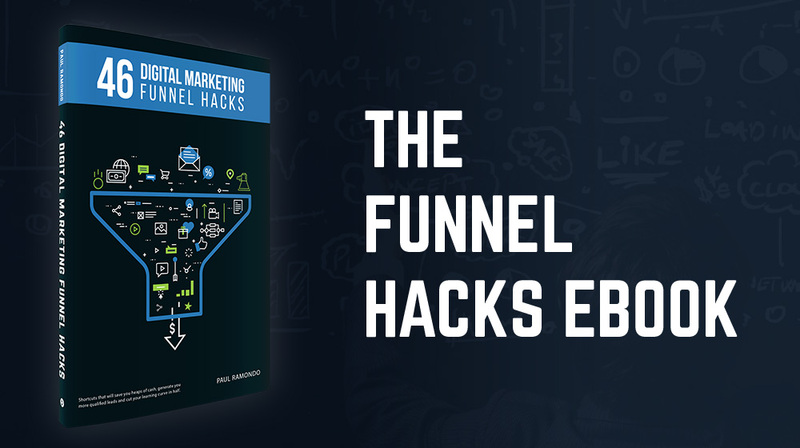 This section will provide you with a collection of ninja Facebook Ads Hacks which will help you achieve lower CPC’s, higher Relevance Scores and ultimately, higher conversions rates. The email list hacks will help save you time, keep you relevant and increase your open rates. Whereas, the Snapchat Growth Hacks will teach you how to quickly grow your Snapchat account so you can begin incorporating it as part of your digital marketing funnel, whilst the Productivity Hacks will let you steal the technology which allows me to work smarter and faster every day. Paul Ramondo is Australia’s fastest growing authority on digital growth hacking and marketing, a sought after keynote speaker and the Managing Director of RamondoMedia; a boutique digital studio that transforms awareness into evangelism through strategically executed digital experiences. Paul considers his smartphone an extension of his forearm and his digital presence and extension of his psyche. As a Digital Growth Hacker, Paul prides himself on his ability to connect brands with their consumers by mapping his campaigns to tomorrow’s digital consumption behaviours. Paul has spent the last decade of his life actioning digital and social marketing strategies for both national and global brands, operating within Australia, including; Porsche®, RedBull®, Choice Hotels™, Boral® and Australian Sports Nutrition. During this time, Paul’s campaigns have consistently achieved insane results and ROI, such as turning a $16,365.38 Facebook Ad spend into $251,374.87 of revenue in only 32 days. Paul also teaches marketers, entrepreneurs and start-ups advanced digital marketing strategies via his website, paulramondo.com. His work has also been featured by industry authorities such as socialmediaexaminer.com, socialmediatoday.com and socialmediaexplorer.com.